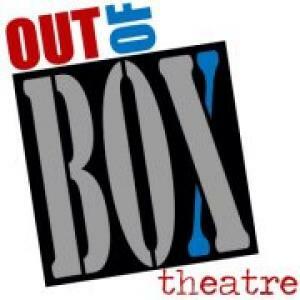 Out of Box Theatre closes out its first season with One Flew Over the Cuckoo's Nest. This stage adaptation of the best-selling novel takes place in an Oregon mental hospital, where Nurse Ratched runs a tightly disciplined ward. Patients must follow her every rule, no exceptions. The icy head nurse remains master of her domain until convict Randall McMurphy arrives, having conned his way into finishing his sentence in the hospital by faking psychosis. He bets his fellow patients that he can unravel Ratched in one week and his subsequent rebellion will half inspire, and half destroy the other patients. In the end, it's up to you to decide whether it was all worth it in this powerful and thought-provoking production of what is arguably the greatest anti-authority protest story of the 20th century. Out of Box Theatre's "One Flew Over the Cuckoo's Nest" presents a generally believable representation of a mental hospital, filled with inmates with various degrees of impairment. The acting is all good, and the set (designed by Christopher S. Dills) utilizes the Alley Stage efficiently, giving it a true institutional feel. The lighting, by Jon Liles, adds to the institutional feel, but primarily in the space behind the Venetian blinds on the upstage windows, which are supposed to look to the outside. Instead, the lighting there has the flicker of fluorescent bulbs in a sterile hallway. Travis Young imbues McMurphy with the virile energy he brings to every role. He's crass, loud, boorish, reckless, and charismatic. Carolyn Sheppard Choe, as his nemesis, Nurse Ratched, keeps cool and in control at all times, which provides a nice contrast, in general. At her coldest, though, she lowers the volume of her voice, not projecting quite enough to be heard in all corners of the small performance space. The staff are all fine, with the standout perhaps being Elin Hill as a timid newcomer of a nurse. The inmates too all give fine performances, with the reactions of Patrick Hill as Frank Scanlon providing many humorous, totally in-character moments. Candace Mabry and Melissa M. Casavant, as two outsiders allowed in (through the window), add verve and energy. One of the most powerful performances comes from Cooper Andrews, as Chief Bromden. He is physically right for the role, and moves with the shamble of a large man broken down by life. His role calls for him to give a number of monologues, and he handles them with quiet intensity. He's very effective in the role. Director Barbara Rudy has pulled together a group of actors and molded them into an ensemble populating the world imagined by Ken Kesey and translated to the stage by Dale Wasserman. The sightlines aren't always great from the sides, but the action flows quickly enough in enough different directions to make the sightline problems transient. It can't have been easy blocking so many bodies in the wide, shallow space.